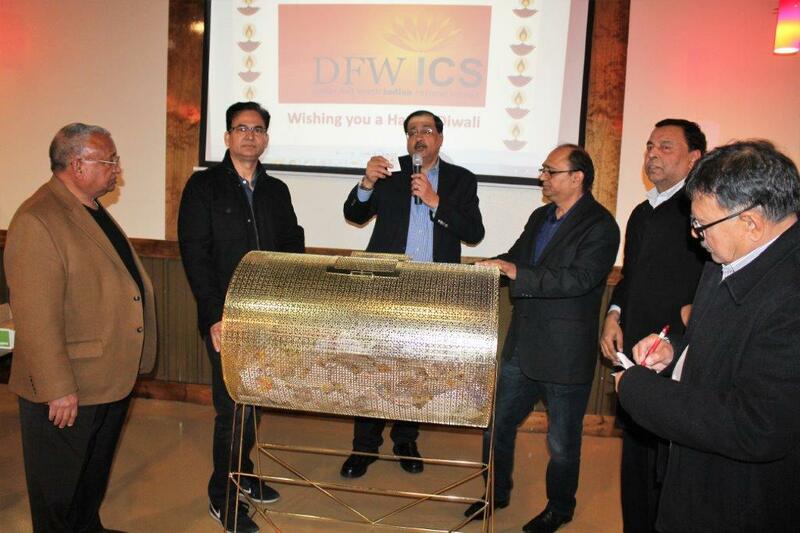 DFW Indian Cultural Society, Inc. (“Sponsor”) is a Dallas, Texas-based tax-exempt 501(c) (3) organization sponsoring a fundraising raffle, the Diwali Mela Raffle (“Raffle”), in accordance with the laws of the State of Texas. All proceeds of the Raffle, less prizes and expenses, will benefit Sponsor and will be used in furtherance of charitable purposes. The rules and regulations of the Raffle are set forth below. All participants in the Raffle agree to be bound by these rules and regulations. The interpretation and of the rules and regulations by Sponsor and its legal counsel shall be final. 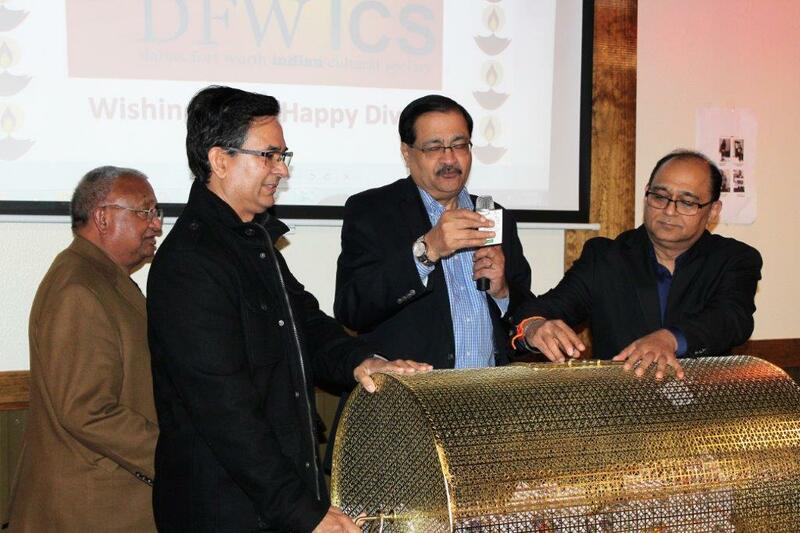 Sponsor is a non-profit, cultural organization and has a strong commitment to the community in organizing annual Diwali Mela, entertainment programs, medical clinics, recognition and rewards to the teachers, and support of other non -profit organizations. No additional purchase is necessary upon purchase of Raffle Ticket, as defined below. TICKET PRICE & SALES: There is NO SEPARATE TICKET for CAR RAFFLE. 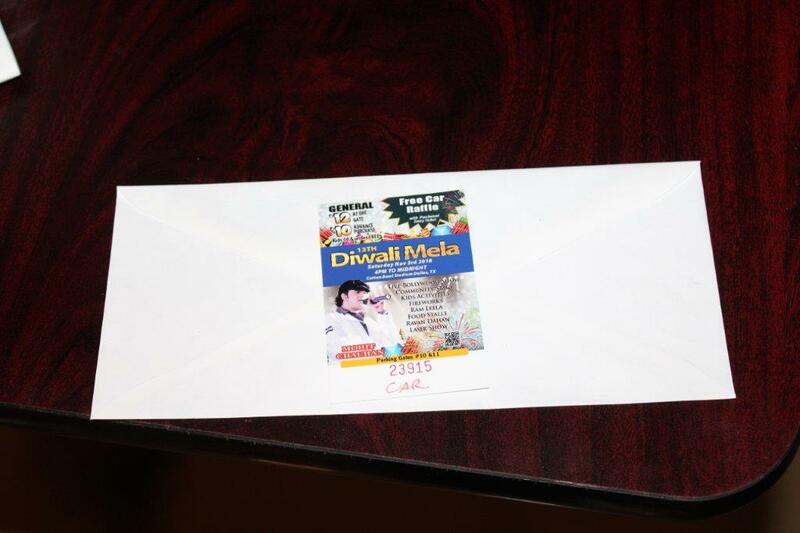 Every purchased ENTRY ticket to the 2018 Diwali Mela event will be eligible for the Raffle. However, only collected stubs at the gate will be included for the Raffle. The stubs may be dropped at the event gate by the purchaser or his or her nominee. Purchase price of a single-entry ticket is $10.00 in advance and $12 at the gate. There are tickets of higher denomination too and all levels of purchased tickets have equal chances of winning in the Raffle. The odds of winning the prize, as hereinafter defined, will depend on the final number of tickets sold. Ticket purchases are not refundable. 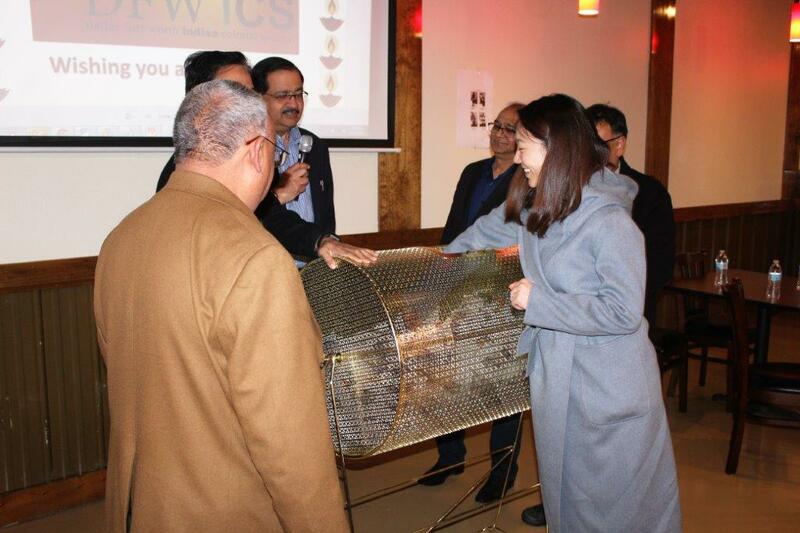 Complimentary Tickets are not eligible for the raffle draw. The participant must meet all eligibility requirements listed in these Official Rules to be qualified for the Raffle. Each event entry ticket purchased shall constitute as an "entry" into the Raffle, and the person who possess the entry ticket portion matching the stub entered for Raffle shall be the "Entrant." The winning Entrant shall be the "Winner" of the prize. Payment to or delivery of any prize will be made to the Entrant. The Winner must complete IRS forms before the prize is tendered. It is the sole responsibility of the Entrant to allocate a winning prize to other participants in case of a multiple-entry Winners, and the winning Entrant shall hold harmless Sponsor in case of conflicting claims or disputes among multiple claimants. Additionally, the "Winner" will be required to complete the Affidavit of Eligibility and Liability Release attached to this document below as Annexure A. Per IRS rules, amounts paid for entry tickets used as Raffle tickets are not gifts to the charitable organization and do not qualify as deductible charitable contributions. QUANTITY OF TICKETS: The maximum number of entry tickets offered for sale is currently estimated at 25,000. Requests for ticket purchases (and therefore payments received) after all tickets are sold or following the Raffle will be retained in our office. ELIGIBILITY: Purchasers of entry tickets used for the Raffle must be legal residents of the United States and must be18 years of age or older on or before November 3, 2018. The Winner must complete IRS forms to receive winning prize All federal, state and local laws and regulations apply. Void where prohibited by law. 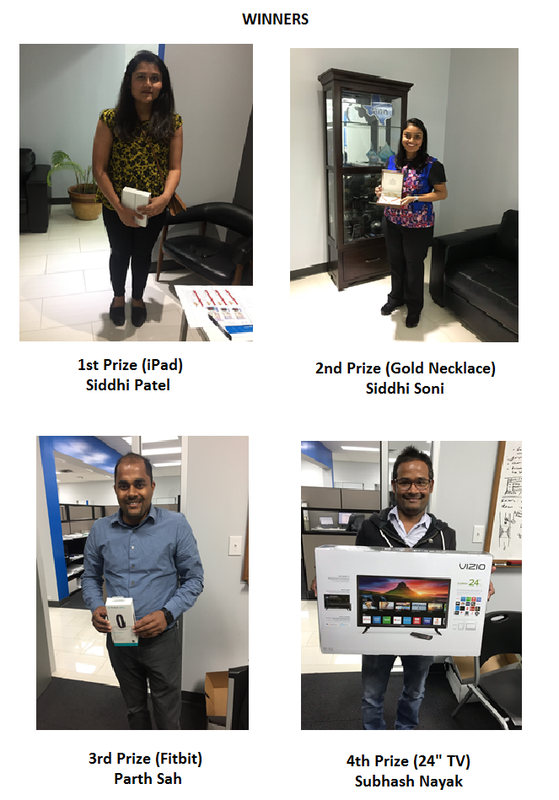 Employees, board members, contractors, or family members of Diwali Mela organizers, Sponsor, Toyota Motor North America, Inc. and their parent, subsidiaries, affiliates and dealers are not eligible to receive the prize. 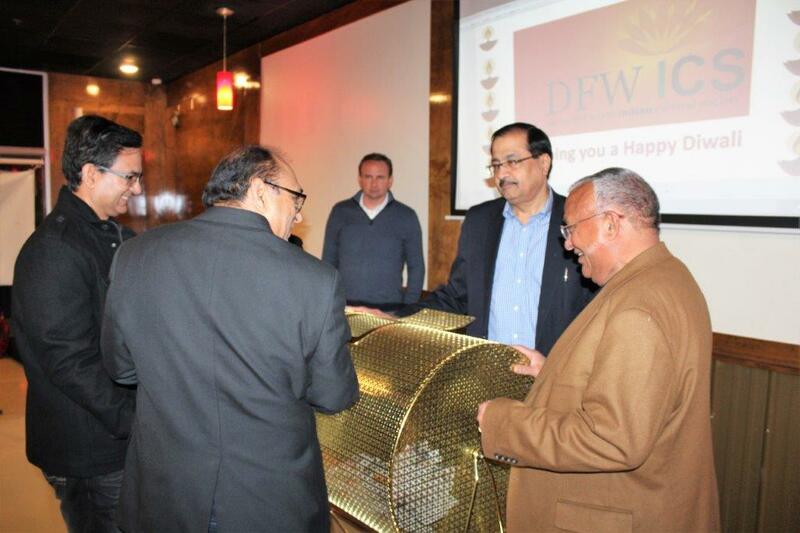 The Raffle drawing will be conducted in the Dallas Cotton Bowl Stadium and will be governed by Texas Laws only with respect to the Raffle. Complimentary Tickets are not eligible for the raffle draw. RANDOM DRAWING: Event entry tickets stubs must be in the possession of Sponsor by 9:45 p.m. Central Standard Time (“CST”) on November 3, 2018, unless otherwise personally delivered to an authorized representative of Sponsor before the time of the Raffle drawing. 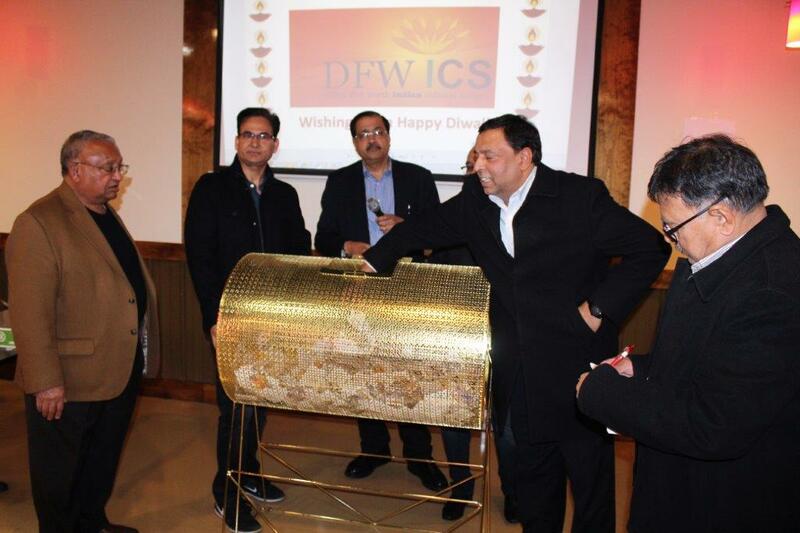 A random Raffle drawing will take place on, November 3, 2018, during Sponsor’s 13th annual Diwali Celebration. Please see the website for detailed program. Tickets will be available for purchase until 9:30 p.m. CST on November 3, 2018. The Raffle drawing will take place on the main stage around 10 p.m. CST. The winning ticket will be announced on stage, and the Winner must identify and come to the stage with the matching stub. In case the Winner is absent then it is the responsibility of the Winner to contact Sponsor or Raffle Manager listed below within 10 days to claim the prize and complete the formalities as stated above. The actual delivery of the car will be completed within 60 days of the Raffle drawing. The Winner agrees that failure to do so will forfeit all rights to claim the prize. 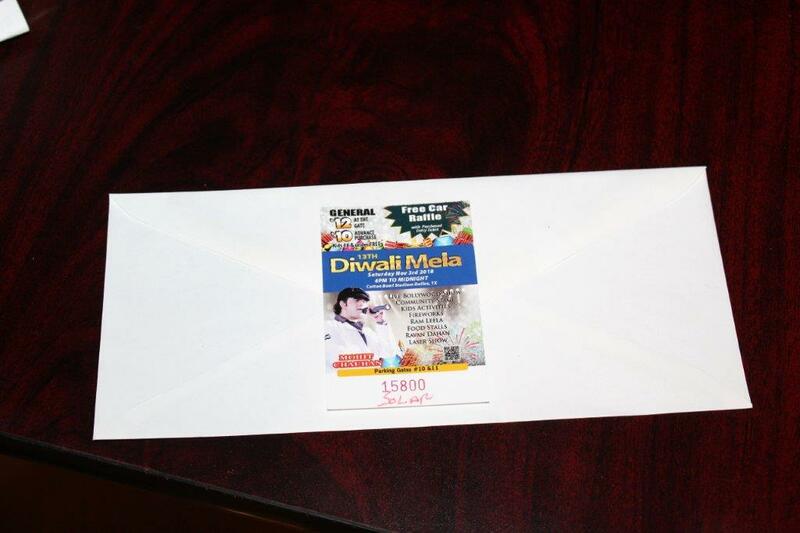 The Ticket Number of the Winner and if his or her name is known will be added to our website: dfwdiwalimela.com too. PRIZES: The Winner will receive a 2019 Toyota Corolla Hatchback SE. The depiction of the vehicle prize in any advertising or promotional materials may not reflect the actual vehicle delivered to the Winner. All optional features or upgrades will be allowed only if permitted by delivery dealer and paid for by Winner. Winner must be a U.S. licensed driver and will be required to provide proof of valid U.S. driver’s license and legally-required insurance at time of delivery or the Winner’s rights to the vehicle will be automatically forfeited. Winner is responsible for title, applicable taxes, license, registration, dealer preparation costs, auto insurance and other fees associated with the prize. Sponsor, Toyota Motor North America, Inc. and their respective affiliates, parents, subsidiaries, contractors, volunteers and dealers (the “Released Parties”) will not have any responsibility or liability whatsoever for any property loss, damage, personal injury or death in connection with the prize provided pursuant to the Raffle and/or any person’s participation in the Raffle; provided that Toyota will be solely responsible for any express written limited warranties specifically described in the applicable Owner’s Guide for the vehicle. Winner must take delivery of prize from the automobile dealership designated by Sponsor. Sponsor shall not be responsible for delays in delivery of the prize vehicle and delivery is subject to availability. Winner will bear all risk of loss or damage to the vehicle after it has been delivered to the specified delivery site. Winner must personally retrieve the vehicle within 30 days after notice of delivery. The basic cost of the car will be paid to the nominated dealer by Sponsor. The stated value of the prize, if found anywhere, is based on the advertised MSRP and not the actual purchase price paid by Sponsor; all applicable discounts, rebates, and incentives associated with the purchase of the prize vehicle are claimed by and payable to Sponsor. Prize is non-transferable and no substitution or cash equivalent is allowed except as provided at Sponsor’s sole discretion. Sponsor reserves the right to substitute the prize for one of comparable or greater value at its sole discretion. Winner is responsible for all taxes and other costs and fees associated with prize receipt and/or use not specified herein as being awarded. Winner must complete a W-9 form before receiving prize. Affidavit & Release: As a condition of being awarded the vehicle, the Winner shall be required to execute and deliver to Sponsor a signed affidavit of eligibility, acceptance of these Official Rules, release of liability, and satisfy any W-2 withholding requirements. Sponsor assumes no responsibility for the Winner's tax and/or legal obligations, including the payment of income taxes, and strongly recommends the Winner consult his/her tax and/or legal advisor. The Winner must provide Sponsor with all necessary information required for tax purposes prior to delivery of the prize. Failure to do so within thirty (30) days of such request shall result in an automatic forfeiture of the Winner’s prize. If the Winner is present and identified after the Raffle drawing, he or she will be presented a letter confirming his or her winning and after all the formalities are completed will collect the car from the nominated dealership pursuant to the information above. In addition, all ancillary costs incurred in connection with and subsequent to transfer of prize, such as gasoline, oil and maintenance not specifically covered under the vehicle warranty, etc. are the Winner's sole responsibility. The prize is awarded “AS IS” with no warranty or guarantee except as specifically provided by the vehicle manufacturer, as stated herein. Sponsor specifically disclaims all expressed or implied warranties, including, without limitation, warranties of merchantability and fitness for a particular purpose regarding the prize. 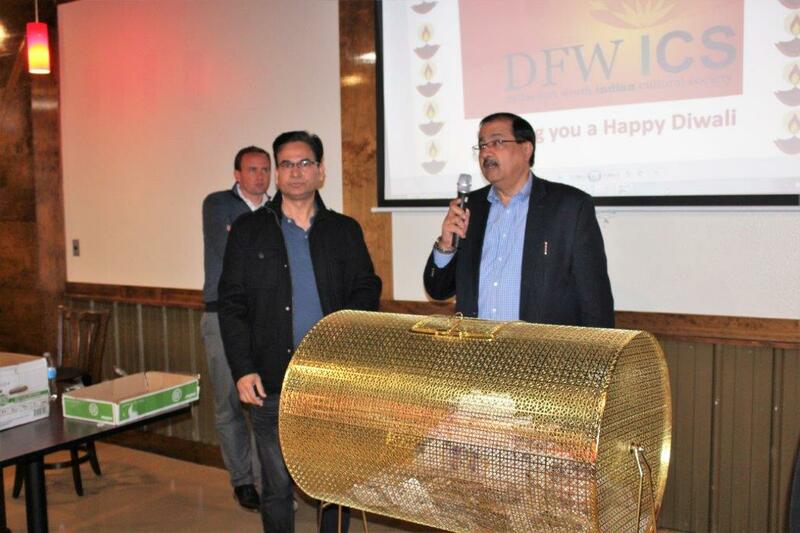 If Winner is eligible to receive the prize and elects to receive the prize, the Winner agrees to take delivery and title of the prize at the designated Toyota dealership within thirty (30) days of being notified he or she is the Winner on our website: dfwdiwalimela.com, or assumes responsibility for costs associated with transporting the prize to the Winner’s location of choice. An appointment must be made with the designated Toyota dealer to make arrangements for receipt of the car. All Entrants must retain their ENTRY ticket stubs. In the event of any dispute or controversy concerning the Winner of the Raffle drawing, Entrants will be required to produce the ENTRY ticket stubs. WAIVER/LIMITATIONS OF LIABILITY: Entrant agrees to allow Sponsor to use his/her name and image without any compensation for any promotional activity related to this or any future raffle. Any and all addresses and contact information of the purchaser will not be released to the public. By entering the Raffle, the Winner agrees that his/her name and/or likeness may be disclosed to and used by the news media, designated Toyota dealer/Sponsor for promotional purposes without additional compensation. In addition, each Entrant releases the Released Parties from any and all liability for injuries, losses or damages of any kind caused by participating in the Raffle or winning the prize, or resulting from acceptance, possession, use or misuse of the prize. The Winner of the prize and/or his or her family, heirs, associates or other interested parties agree to indemnify and hold harmless the Released Parties from any and all losses, damages, rights, claims and actions of any kind arising in connection with or as a result of the Winner’s acceptance or use of the prize. In the case of a dispute, Sponsor’s decision shall be final. An Entrant’s sole and exclusive remedy for a breach of these Official Rules shall be limited to the return of the purchase price paid for his/ her ticket(s). In no event shall the Released Parties be liable to any party for any loss or injuries to earnings, profits or goodwill, for any incidental, special, punitive or consequential damages of any person or entity whether arising in contract, tort or otherwise, even if advised of the possibility of such damages by counsel. All parties agree to resolve any disputes through State approved arbitration and waive jury trial in any courts. By purchasing a ticket and choosing to participate in the Raffle, each Entrant acknowledges and agrees that Sponsor has the right, in its sole discretion, to elect not to proceed with the Raffle for any reason whatsoever or for no reason, and in such event, a participant's remedy shall be to receive a refund of the full price paid by such participant for each Entry ticket purchased, without interest. The name and logo of DFWICS /Toyota or designated dealership are proprietary/registered trademarks, and no other person or entity is authorized to copy or otherwise use them without the express written consent of DFWICS and Toyota or designated dealership. Courtesy, State of Texas raffle rules and other sources. 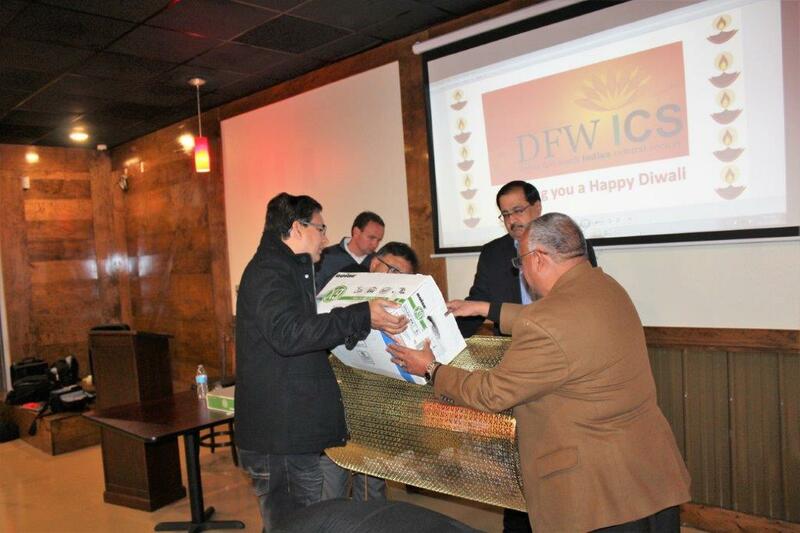 DFW INDIAN CULTURAL SOCIETY, INC.